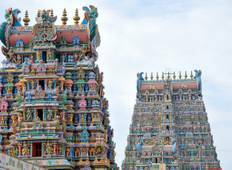 Find the right tour for you through Kanchipuram. 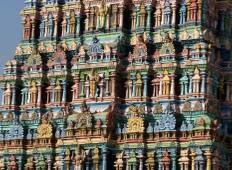 We've got 18 tours going to Kanchipuram, starting from just 9 days in length, and the longest tour is 30 days. The most popular month to go is January, which has the most number of tour departures. "The tour was beautifully put together, everyday was a fantastic discovery of inimaginable..."
"The trip was fabulous, I and my friends visited South India, after visiting many..."
"It was amazing tour from south India to north India, everything was well organized..."
"Our guide made the tour special by stopping to show us interesting things along the..."